Paying attention to your cat’s daily routine is important. Normal eating, drinking and elimination means it’s “business as usual.” But your cat peeing blood is another story. If your cat has blood in her urine it’s time to make an appointment with the veterinarian. The causes for a cat peeing blood run the gamut. A cat peeing blood could be something mild and passing or it might be caused by something life-threatening. Let’s find out what blood in cat pee looks like, its major causes, and what you can do to prevent, cure or manage the condition causing this alarming symptom! First, what’s normal when it comes to cat pee? A calico cat getting out of the litter box. Photography © npdesignde | iStock / Getty Images Plus. The average, healthy, indoor cat will urinate twice a day. His urine will range in color from pale yellow to a deep golden color. It’s somewhat smelly. If he is intact it may be more pungent, but if he’s neutered, it should be an acidic scent that is not overwhelming. Scooping the box in the morning and in the evening is an effective way to monitor his health. What’s not normal when it comes to cat pee? Causes for concern in your cat’s health often crop up in the litter box first. Again, knowing what’s a baseline “normal” for your cat is crucial to early detection of medical issues. Keep in mind that a cat peeing blood may not appear to be peeing blood. The blood can be faint. So, if you suspect that something is up with your cat’s pee, use a white paper towel to press out the color. Why is your cat peeing blood? The causes of a cat peeing blood (or a faint trace of blood in pee) can be attributed to a variety of conditions. For example, his medication could be the culprit or it could be cancer. This happens when the naturally occurring process of shedding waste (aka urine) malfunctions. Cats usually effectively rid their bodies of microscopic crystals through urination without issue. However, for some cats, the crystals clump together and form a blockage in the urethra. This ranges from cystitis (bladder inflammation) to infections. 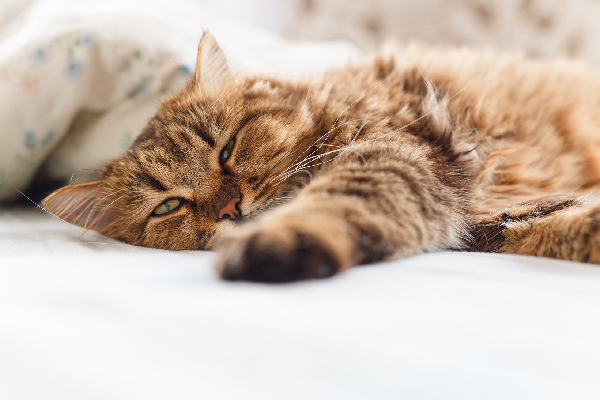 The urgent need for emergency medical care for your cat stems from when the kitty goes from normal urine-passing functions to any type of blockage. For a cat peeing blood due to a blockage, the difference between life and death can be a matter of hours (not days). While the condition is life-threatening, the solution can be as easy as giving him amoxicillin. Usually it’s transitional cell carcinoma (TCC) and the proper diagnosis best produced with an ultrasound. Successful treatments include surgery and cystoscopy. Preventing your cat from ingesting anything toxic to his system is the best line of defense. These happen quickly and with few traceable external signals. Physical trauma of any kind can be deadly if not treated immediately. 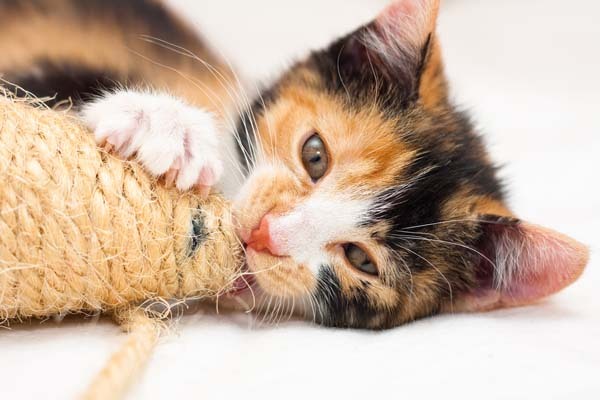 If a cat has fallen from a high (or not so seemingly high) place, or if a cat has been accidentally kicked or handled in a rough manner, the results can be serious. A female cat can go into estrus as early as 4 months old! Symptoms include loud meowing and, yes, a bloody discharge in the litter box. Other underlying causes for a cat peeing blood include chronic kidney disease, forms of diabetes, feline immunodeficiency virus (FIV), feline leukemia virus (FeLV) and hyperthyroidism. If the reason for blood in urine is elusive, go for the full battery of medical tests. 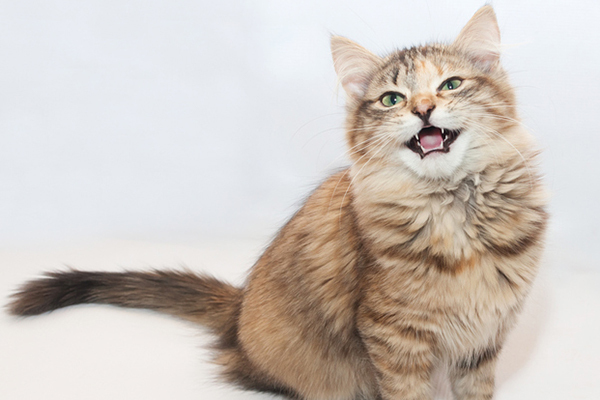 Keeping your kitty cat in tip-top shape is the best medical insurance money can buy! And it needn’t be costly. Conditions like diabetes are preventable. Early detection is key: Paying attention to the litter box — both for blood in cat pee and blood in cat poop — usually nips major issues in the bud. Minimizing the conditions that cause urinary crystals and other urinary tract problems, including providing your kitty with plenty of fresh, clean water and adding premium wet, canned cat food for an optimum cat diet. Along with lots of exercise and play and whatever type of affectionate behavior (bonding) he prefers. If you notice a cat peeing blood, seek medical attention right away. 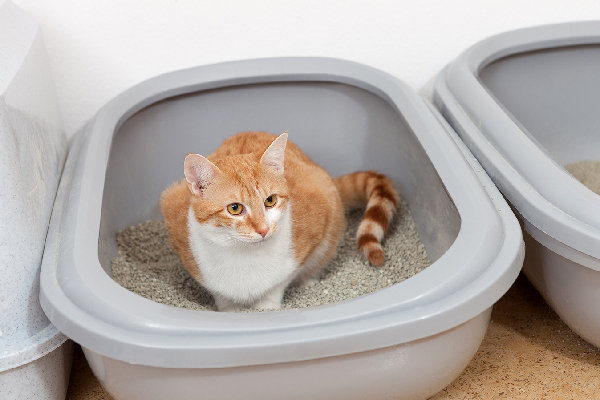 Monitoring your cat’s litter box is the best way to know if anything dangerous is compromising his health. 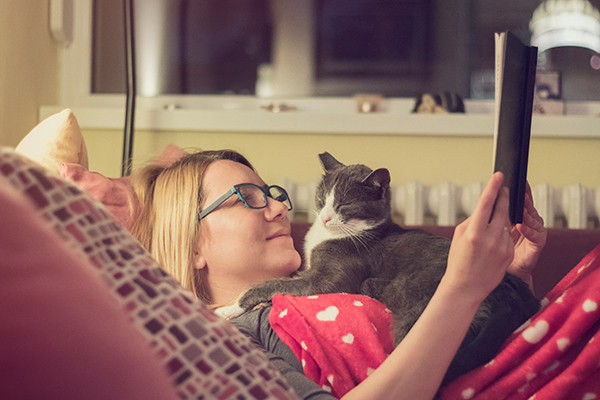 Remember: Your cat’s health is a lifelong pursuit that he relies on you to maintain. A little bit of gumption goes a long way toward his longevity! Thumbnail: Photography © w-ings | iStock / Getty Images Plus. There’s also a special litter that detects blood and other abnormalities in the urine. It might pay to keep a layer of it on top of the usual litter. The bag has a color indicator showing what the different colors mean in the litter in response to contact with urine. What is the name of that litter? Wud I be able to get it in Calgary Canada? Great info, ideal for new cat owners.